China is one of the newest entrants in the space race, with ambitious plans to establish a space station by 2020 and to be the third country to put man on the Moon by 2025. 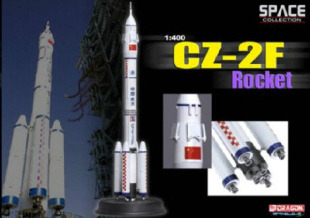 The manned orbital carrier rocket that China is currently relying upon for its space program is the Long March family. One of these members, the Long March 2F (or CZ-2F), was the first rocket to put a Chinese taikonaut in space.